The inventory of available medications is posted online. It’s not usually news when a pharmacy opens in town. But the Better Health Pharmacy in San Jose is garnering headlines ahead of its grand opening Tuesday morning as organizers billed it as California’s first “drug donation pharmacy.” The goal is to prevent mounds of unused pills - from Abacavir to Zyprexa - from ending up in the state’s waterways and air, county leaders say, and distribute these recycled pills to those in need at no cost. Cynthia Anderson is one person in need. She said she panicked when her husband suffered a stroke soon after she was laid off from her job. “It was terrible because I thought, Oh it’s my fault that we don’t have the insurance. But we came here and we brought all of his prescriptions…We left the same day with more than half the medications he needed,” Anderson said. The Better Health Pharmacy in San Jose opened Tuesday morning as organizers billed it as California’s first “drug donation pharmacy.” The goal is to prevent mounds of unused pills - from Abacavir to Zyprexa - from ending up in the state’s waterways and air, county leaders say, and distribute these recycled pills to those in need at no cost. Kris Sanchez reports. Anderson says she’s come to the Better Health Pharmacy twice since its soft opening in August. Since then, the pharmacy has helped about 400 patients with 700 prescriptions. Georgia was the first state to enact such a program in the United States, followed by more than a dozen others. Iowa's is considered one of the more successful, according to the National Conference of State Legislatures, recycling more than $5 million worth of drugs to nearly 27,000 residents from 2007-2012. “Nothing. We paid absolutely nothing.” Anderson said, relieved. 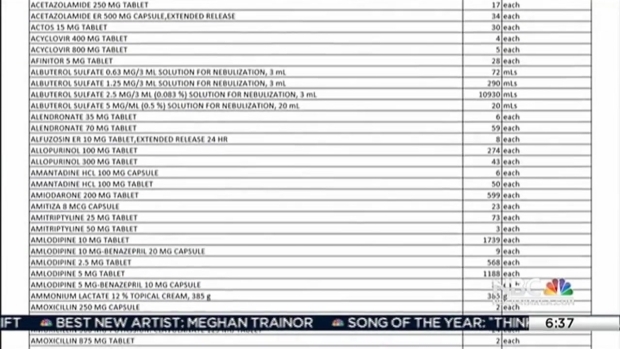 Because this pharmacy is a nonprofit, and the medications are donated, mostly by nursing homes, there is no charge and no copays, county leaders stressed. “We’ve got perfectly good unused medications on one side of town, and we’ve got folks desperately in need on the other side of town,” County Supervisor Joe Simitian said during the grand opening. That said, California laws prevent the swapping of certain controlled drugs. Those include pain medications such as Norco, Vicodin, Percocet, Oxycontin, Codeine and anxiety medications. The pharmacy is licensed by the California Board of Pharmacy, and all donated medications are inspected by on-site pharmacists handing out the pills, according to the pharmacy's FAQ site. Silverthorne said the great need for access to free prescription medications, coupled with the county’s desire to decrease waste and lower health care costs – led to a plan to expand the program and create a permanent home for the pharmacy, now located at 725 E. Santa Clara St., #202 in San Jose. She also cited statistics that show unused medications are a huge problem in the United States: Each year, about $2 billion worth of medications are thrown away by skilled nursing facilities; $100 million of this is in California. The hope, she said, is that Better Health Pharmacy can help salvage roughly 10 million prescriptions, equally about $700 million dollars in savings, according to a 2015 Stanford University discussing five Stanford medical students who brainstormed on how to recycle unused drugs. Their idea became law in 2005, sponsored by state Sentator Joe Simitian. In addition, many people can’t afford their prescriptions, Silverthorne said. According to a 2010 report, 23 percent of American adults reported missing a dose or skipping prescriptions due to cost. This program helps ease that financial burden, she said. Anyone with a valid prescription can receive medication from the pharmacy as long as it's in stock. “Many of them are going without meds, so I thought this was a great service,” said Jennifer Yoon, assistant director of pharmacy services. At the moment, anyone with a valid prescription can receive medication from the pharmacy as long as it's in stock. “As long as you have a valid ID, valid prescription from a physician, nothing will stop you from using our pharmacy,” Yoon said. In 2015, the Santa Clara County Board of Supervisors, voted to fund the Better Health Pharmacy, which helped secure and remodel existing office space in the Mediplex building, in downtown San Jose. 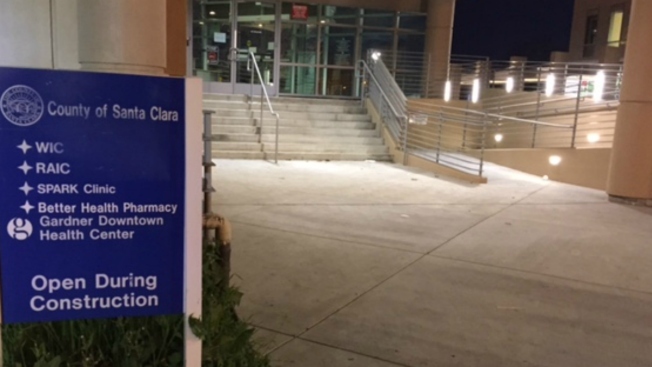 The medication repository program was started in Santa Clara County in 2008, and until recently, was run out of the Public Health Department Pharmacy located at 976 Lenzen Avenue, in San Jose. Silverthorne said the small pharmacy grew into a 16-hour per week service operated by nine volunteers, with oversight provided by Public Health Department Pharmacy staff. Since its inception the program has dispensed more than 8,700 prescriptions; a savings of more than $400,000, she said. Better Health Pharmacy accepts any valid prescription, serving patients who cannot afford their medications. Hours are Monday, Tuesday, Wednesday from 4 p.m. to 8 p.m. and Saturday from 9 a.m. to 1 p.m. The inventory of available medications are posted online. For more information about the Better Health Pharmacy, including hours, location and how to use the pharmacy, please visit: www.BetterHealthRX.org.